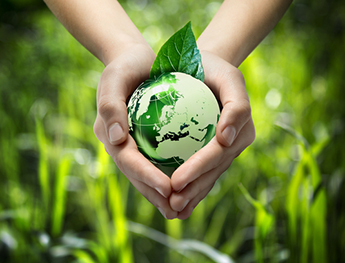 "Green cleaning" means we use very small amounts of environmentally safe cleaning solutions. In fact, our carpet cleaning solutions are gentler than your laundry detergent, and we use LESS of our products to clean all the carpets in your entire home than the laundry soap you use to clean just one load of clothes! Because we remove 93% or more of all the water used in the cleaning process, the amount of any cleaning solution left behind is so marginal that for practical purposes, it does not exist. For example: We use about one cup of solution concentrate to clean 1500 sq. feet of carpet with 120 gallons of water. 93% of that water is extracted. That means 8.4 gallons is left to evaporate out of the entire area (about 3/4 oz/sq. ft.). The cleaning solution residue is about 1/1,200 of an ounce per sq. ft. This is such a small amount, it's imperceptible. You can also have a clear water rinse using absolutely no cleaning solutions... it means that the results may not be as obvious, but our hot water extraction unit can achieve very good results with NO cleaning solutions at all. In either case, I guarantee you will be amazed when you see the results for yourself. Here are a few tips you can use year round to help keep your carpet looking as fresh and clean as the day we professionally cleaned it. Clean up spills immediately, before they become permanent stains. You may refer to our spotting guide online, which can be found at www.esmerio.co, and this will provide you with directions on how to proceed in removing spills. You may also call us at 1 800 848-8485 and we will also give you assistance on how to properly remove the spill. Thanks for your interest in our safe and "green" carpet cleaning process. 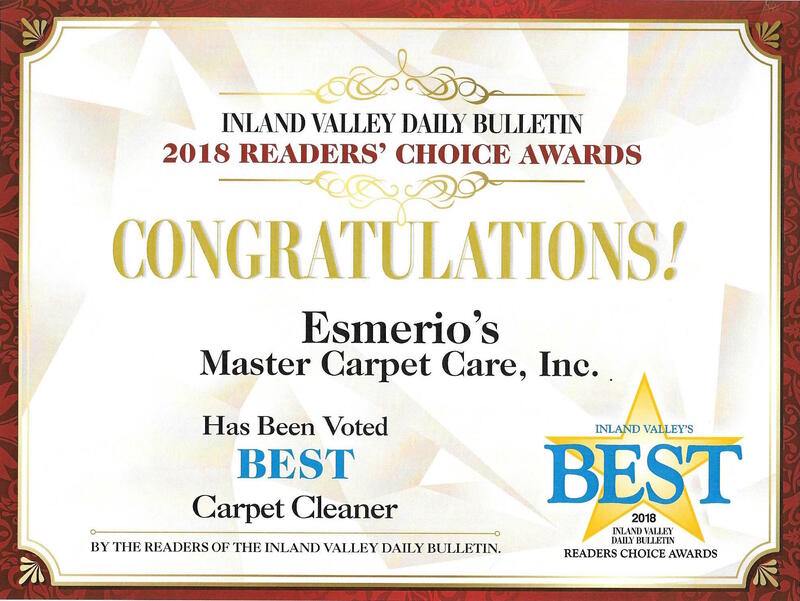 I hope this special report helps you learn more about our program for the safe carpet cleaning process we have used to get the carpets of hundreds of satisfied clients in the area the cleanest they have ever seen!